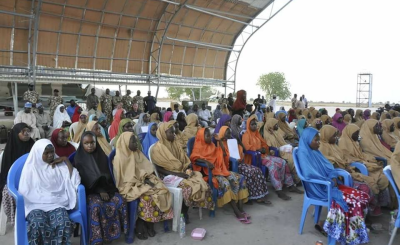 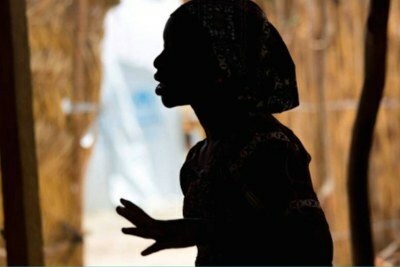 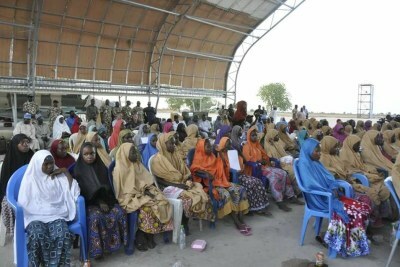 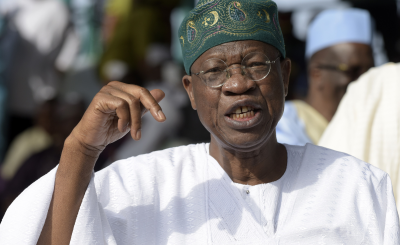 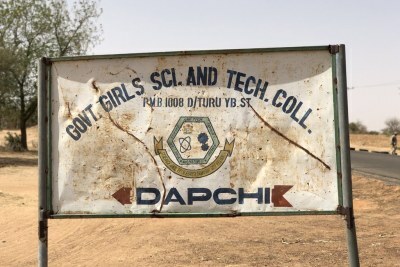 The UN Security Council report reveals that ransoms, like the one paid for the release of the Dapchi girls abducted by Boko Haram, and the predominance of cash economy is providing oxygen for the insurgency around the Lake Chad region. 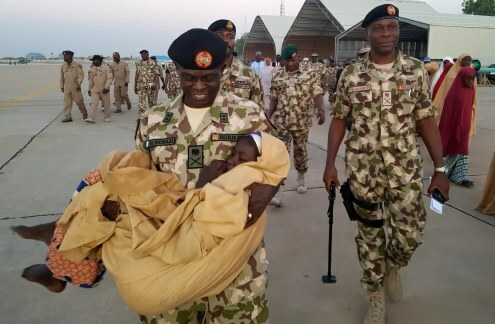 One of the released Dapchi school girls is carried as military and government officials supervise the airlift of the rescued girls at Maiduguri Airport, Nigeria. 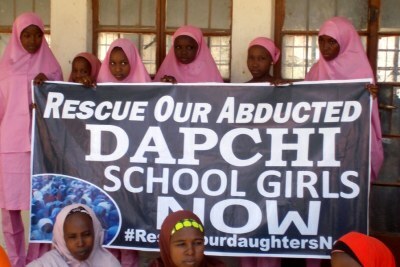 Campaign for the girls' release (file photo). 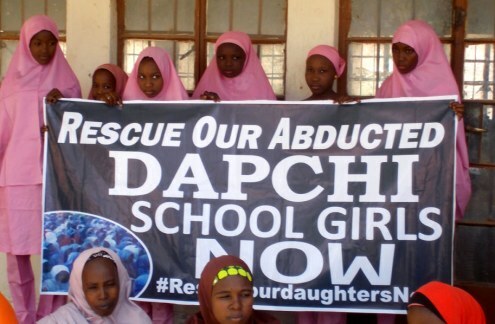 President Muhammadu Buhari, left, with the released Dapchi schoolgirls at a ceremony at the presidential villa in Abuja on Friday March 23, 2018.